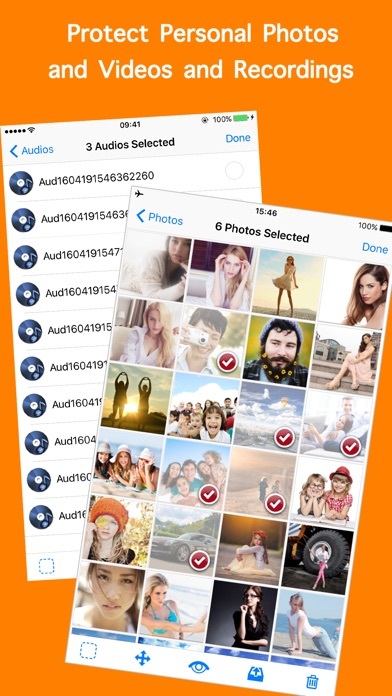 The best app to secure your photos + videos + recordings! It is a Free Photo Manager that helps you to keep your private photos and personal videos. 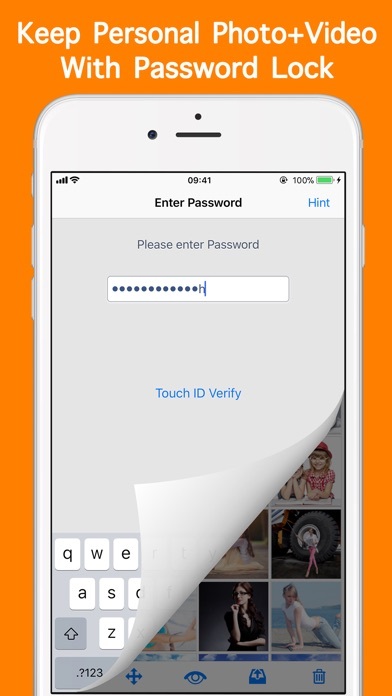 It provides two sets of passwords which make you could get into two different views of albums. 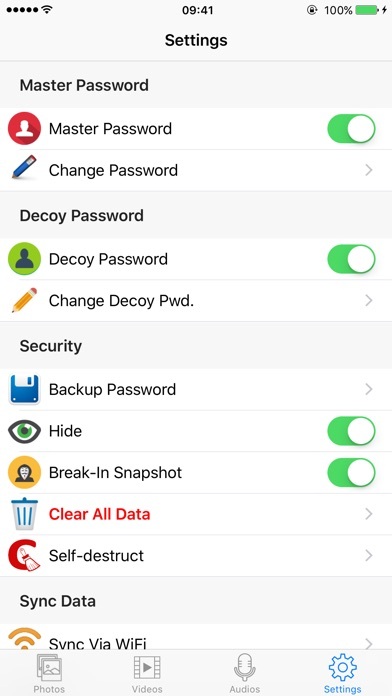 You could lock your privacy with one master password! SOME OF OUR GREAT FEATURES * Create, delete and edit custom photo album. * Password is needed to access the app. * Move photos and videos between folders with just a few taps. * Save pics from other apps to your secret folders: just tap the Share button and pick “Hide Photos” action. * Save recordings using the built-in smart recorder. 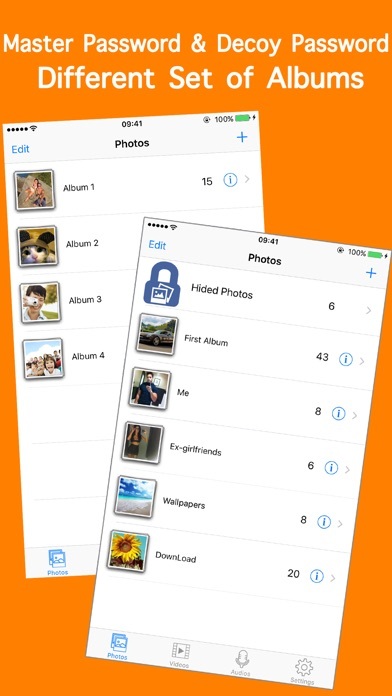 * Add photos to this app using iTunes file sharing. * Swipe left and right to switch photos. * Zoom in and zoom out. * Export photos to your Photo Albums. * Email photos to your friends. * Copy photos and MMS to your friends or reply your emails. * Support Open photos in other apps. SUPPORT MULTIPLE FILE FORMATS * Photo: jpg, png, bmp, tif, tiff, jpeg, etc. * Video: mov, mp4, m4v, mph, etc. * Audio: mp3,wav,aacf,etc. ---------------------------------------------------------- All your photos stored in this app are 100% private. Your data are only stored on your device and never upload to our servers. We have no ability to remotely access your data.